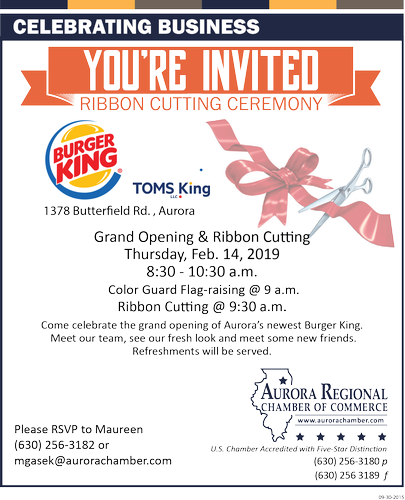 Come celebrate the grand opening of Aurora’s newest Burger King. Meet our team, see our fresh look and meet some new friends. Color Guard Flag-raising @ 9 a.m.